The Aptos, California real estate market continues to decrease in the number of distressed (Short Sale, Foreclosure) properties currently on the market. Only 1.9% of all active listings are considered Distressed Properties. 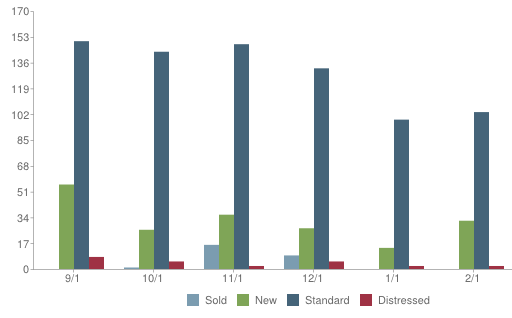 The number of active listings in Aptos (95003) increased by 4.5% from the previous month. The median number of days active properties have been listed is 100 with over 100 Active Listings. The number of sales in December dropped by 54.2% from the previous month. 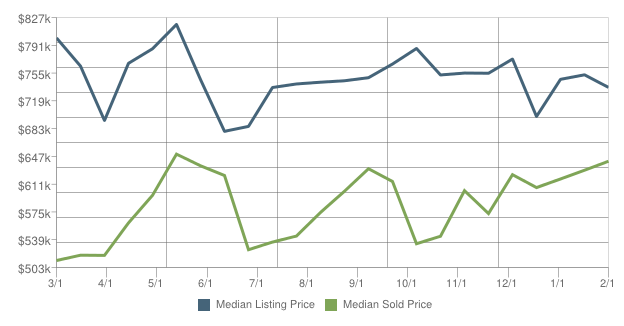 The median LISTING price is $736,170 while the median SOLD price is just shy of $650,000. For more information on the Aptos CA real estate market, including Community information, Local Schools and Insider Tips, click here. Are you considering buying a home in Aptos? This entry was posted in Aptos Real Estate, Buying a Home, Local Market Statistics, Santa Cruz County Real Estate and North Monterey County Real Estate, Selling a Home and tagged Aptos CA Housing Statistics, Buyers, Sellers, Terri Woods Real Estate, www.GreatMontereyBayHomes.com. Bookmark the permalink.